Venice is a hypercity. Here the narrow becomes wide, the near becomes far, the timeless becomes transient, the limited becomes infinite . 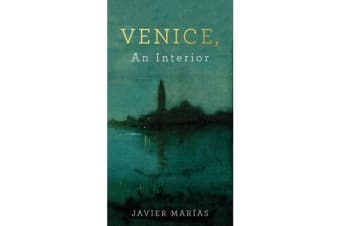 . . ‘ Venice is a place of fascinating contradictions, equally full of glamour and chaos. It has a unique romantic appeal that lingers in the imagination, attracting millions of travellers each year, and yet truly native Venetians are a secretive, elusive tribe. As a young man, Javier MarYas briefly made his home in Venice. Since then he has left and returned to the city many times, exploring it over the course of more than thirty years. With characteristic thoughtfulness and elegance, he sets out to uncover the heart of this strange and enchanting place.